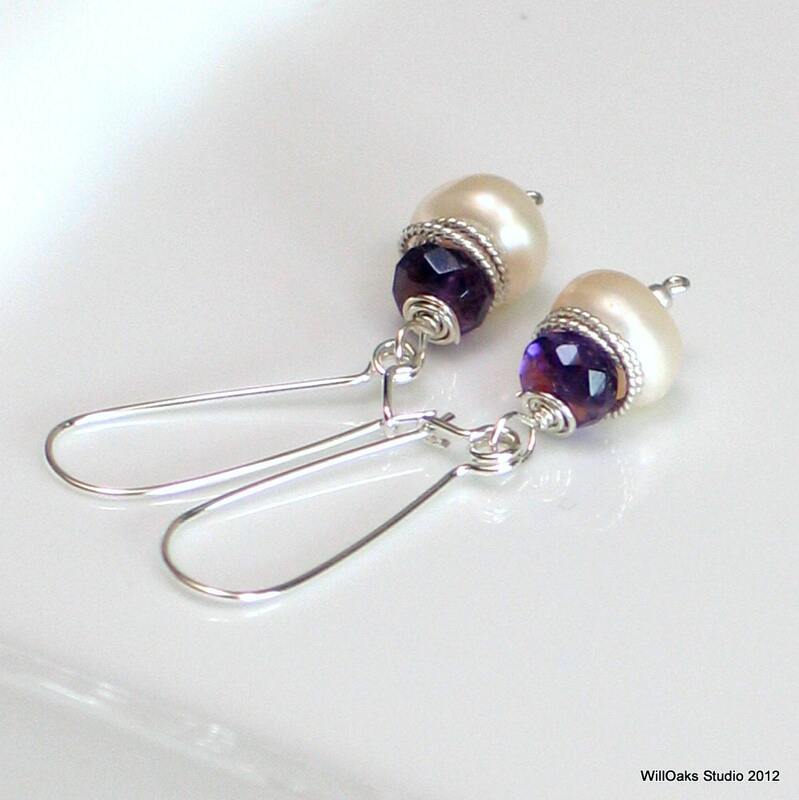 A faceted purple amethyst tops a white button pearl and they are bound with decorative twisted sterling, then wire wrapped to dangle freely from my handmade self latch long ear wires, my original design. 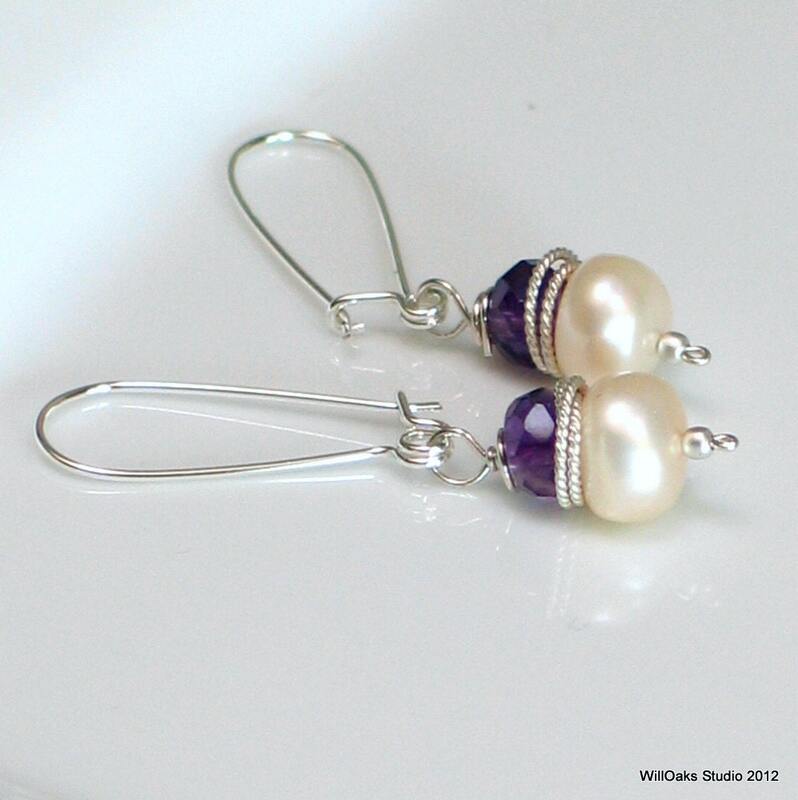 They measure about 1 3/4" long from the top of the wire to the bottom of the pearl. 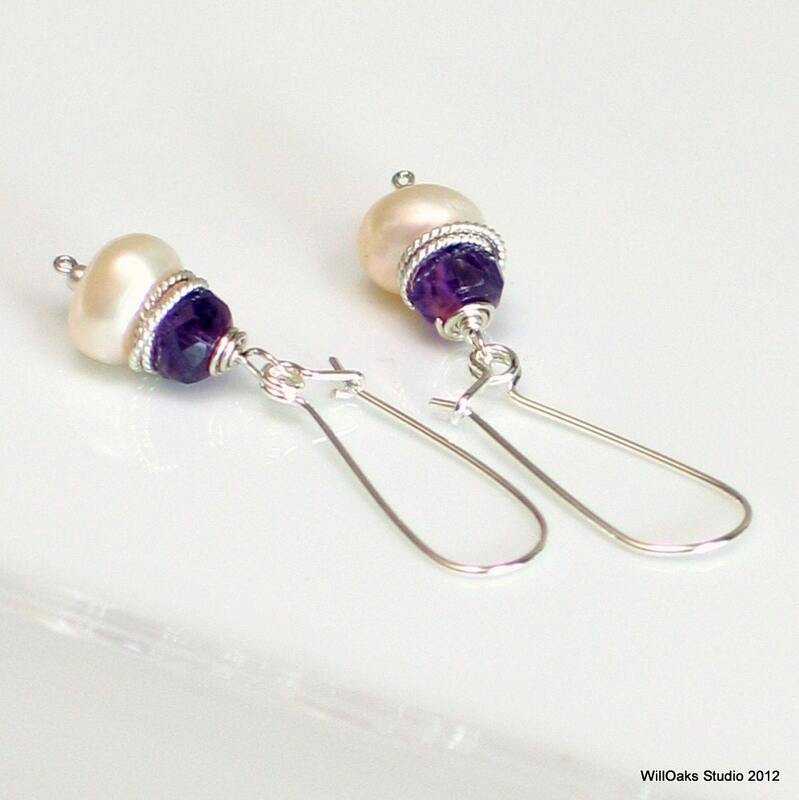 A great ear wire design to keep long earrings from being lost. Latch these beauties closed, and your earrings are secure and beautiful! These slightly edgy, simply elegant dangles are made to be worn all the time--I even sleep in them--because they are so comfortable and unlikely to come out, get snagged, or be lost. Bright sterling silver (can be oxidized for an antique look by special order) with white pearls and dark amethyst that might be a perfect holiday touch. For me, they are simply everyday earrings when I'm too busy to think about changing my look, but want to look good. A wonderful gift for so many occasions! Plus amethyst is a birthstone for February. Model is wearing the same style using hematite rondelle instead of amethyst. 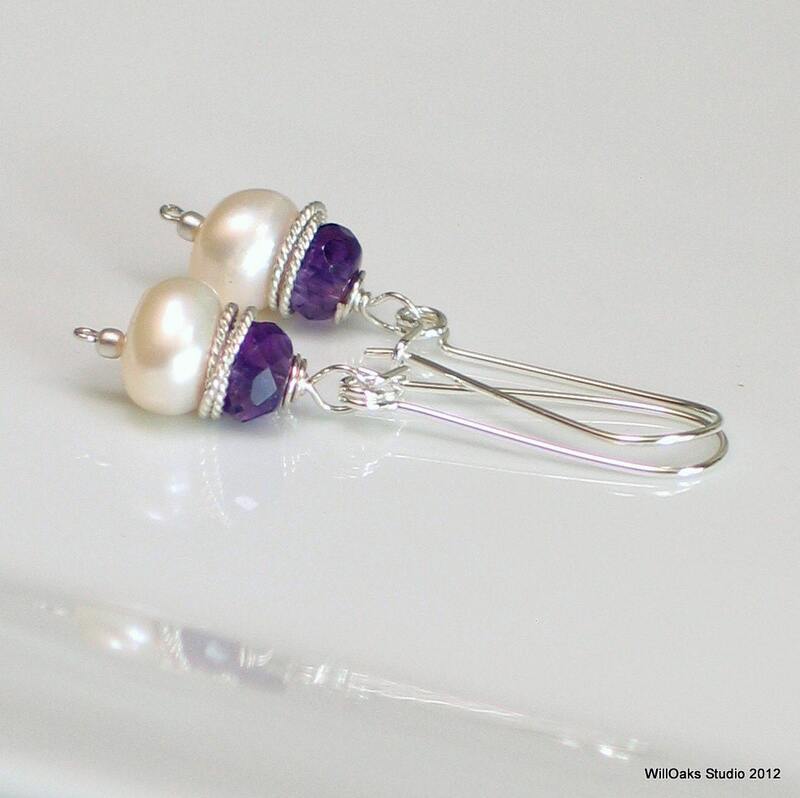 WillOaks Studio earrings are packed in cotton filled, signature boxes or small velvet bags all ready to gift--I can even add a gift card if you'd like--add your message as you check out. I just heard from my sister that she loves these! Thanks again! These were a gift for a friend - She loved them. And thank you for all your kindness to me!